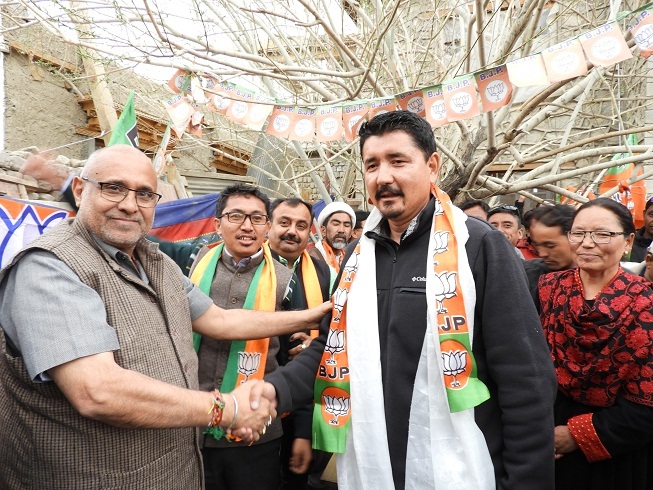 Leh: A clear setback to People’s Democratic Party (PDP) as Advocate Tashi Gyalson, District President along with other core members joined BJP on April 16. Tashi Gyalson along with Rinchen Lhamo, PDP Women Wing president also a Nominated Councillor, Sangay Dorjey, General Secretary and other core members joined BJP party in presence of Vikram Randhawa, MLC. Tashi Gyalson stated that the decision to join BJP party is because of the progressive mindset and a dedication to work for the overall development of the region. The development made by the BJP party over the last few years is a practical implication of slogan ‘Sabka Saath Sabka Vikas’. Talking about the demand of Union Territory status for Ladakh, he said, “UT is the aspiration of people and I feel that BJP is the only party who will fulfil the demand. The announcement of Divisional status for Ladakh proves that the party things for the betterment of the region”. “I was one among the founding members of BJP in the year 1994 and today I feel proud to be part of the party again. With the capable leaders of BJP party we will work together for the welfare of the people and development of the region” he added. 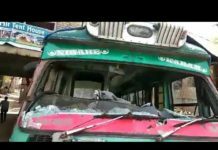 Avinash Rai Khanna, Incharge J&K , Satish Sharma, Senior leader , Jamyang Tsering Namgyal, MP candidate and other party leaders were present.